Be Vegantastic! : Don't Eat Lamb (Yuck), Sponsor One Instead! 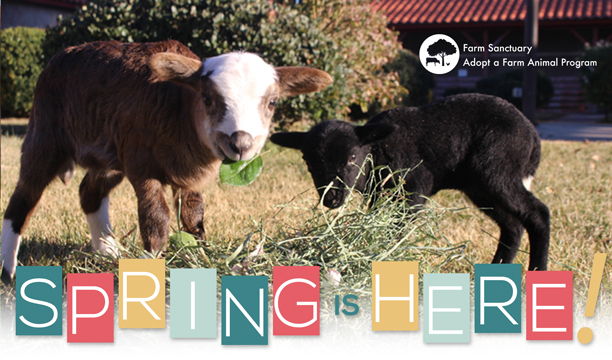 You know what is so much better than eating a sweet faced little lamb for Easter...sponsoring one at Farm Sanctuary. Religion aside, consider using this day to teach your children about kindness and having compassion for others. Check out the stories of these little babies on Farm Sanctuary. If you can do a monthly sponsorship, great. If not, a one time donation is just as good. We're also going to coat them in sprinkles, to give them a Peeps feel.